Further TRAINING - Advanced, Refresher, etc. We provide a variety of further training to suit your needs. Our instructors come from a wide and varying range of backgrounds. You can be assured that your instructor will be matched to suit your training needs. Flexibility is the key to further training that we strongly recommend to develop your riding skills. No two persons are the same, nor do they want to achieve the same goals, so give us a ring and we'll arrange a programme of training to suit you. ADVANCED TRAINING: We can train you to reach your advanced riding goals. 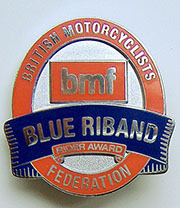 The British Motorcyclists Federation Blue Riband Rider Award. 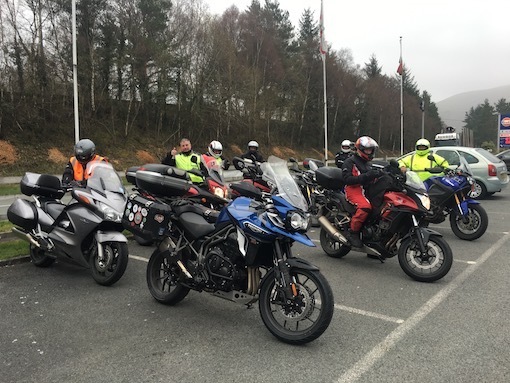 Some of our instructors have completed the British Motorcyclists Federation Blue Riband Rider Award assessment and are qualified to undertake the training and examination of candidate in connection with the scheme. For a fee of £250 candidates are provided with pre - read course material to broaden their understanding of advanced riding techniques. On the day of the course there will be a re - cap of the information that has been previously provided and then it is down to the business of advanced rider training. Using your own motorcycle you can expect a full days training and plenty of input from our experienced trainers. Following your days training the rider assessment is then undertaken (usually the following day). We can be flexible around training arrangements to suits your needs. You will also receive a twelve months membership of the British Motorcyclists Federation as part of the training fee. We always aim to provide value for money so if you bring a friend we will give you two days training for the same price as we find that it is generally more beneficial at this level to train with someone else. We also strongly recommend either the IAM RoadSmart (Institute of Advanced Motorists) or RoSPA (Royal Society for the Prevention of Accidents) tests as they are recognised advanced motoring organisations and this may well lead to some insurance discounts once you have passed your advanced riding test with some companies. Some of our instructors are examiner for these organisations. Costs: We work on the basis of £25 per hour training at this level using your own motorcycle. BIKE PLUS: This includes a multitude of training and once again is suited to your needs. We offer an introduction to advanced riding, motorway lessons and even pillion lessons. If there is something that we have not covered then give us a ring and we are sure that we can provide what you need to reach your training goal. BACK TO BIKING TRAINING: For some who have not ridden for a long time and are thinking about purchasing another motorcycle then we think that it makes sense that you consider some 'back to biking training'. We'll refresh your memory with the controls of the machine and then get you going in the safe environment of the training yard before venturing out on to the public highway. Very often we are given referrals from our local motorcycle dealers who recommend this training before selling a motorcycle to someone who has a not been on a machine for some time. You know as well that it makes sense if you haven't been motorcycling recently. Costs: We work on the basis of £25 per hour training at this level inclusive of motorcycle hire. 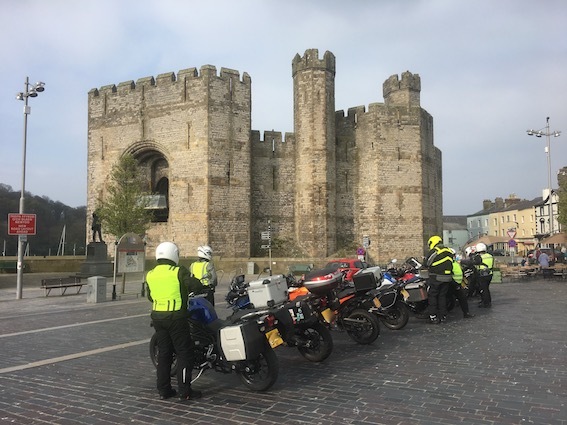 REFRESHER TRAINING: If you passed your motorcycle test some time ago or feel the need to have a fresh look at your riding skills then consider some refresher training. Costs: We work on the basis of £25 per hour training at this level inclusive of motorcycle hire if required.